Sometimes it becomes necessary to remove excess gum tissue to allow more exposure of a tooth. This can be for cosmetic reasons to create a more balanced smile appearance, or the procedure may be required to prepare a tooth for a dental crown or other type of restoration. Crown lengthening, also known as a gingivectomy or gum reshaping, is a very common (and often quick) procedure. Our board-certified periodontist, Dr. Daniel Lauer, utilizes the Waterlase MD™ laser to perform crown lengthening for patients at Precision Periodontics & Implant Dentistry. Through this advanced technology, he can provide minimally invasive and virtually painless removal of excess gum tissue. A common purpose of crown lengthening is to correct the cosmetic concern often referred to as a “gummy smile.” When gum tissue extends abnormally low on a person’s teeth, this can make their smile look short, causing some people to feel self-conscious about their appearance. Those unhappy with a gummy smile typically have an adequate amount of tooth hidden under their excess tissue for Dr. Lauer to recontour the shape of their gum line for an improved aesthetic result. If a tooth is decayed or broken below the gum line, crown lengthening can provide access to more of the tooth’s surface to repair the damage or remove the diseased tissue caused by gum disease. In addition, when more of the tooth’s crown is exposed, routine dental hygiene can be improved in the future, since additional surface area can be reached. When a tooth needs to be repaired, crown lengthening may be part of the preparation to expose more of the tooth’s surface, allowing better support for a filling or restoration. Dr. Lauer often performs this part of the process for his referrals who are receiving cosmetic dentistry restorations such as dental veneers, crowns, or bridges. Crown lengthening can also be used in laser gum therapy prior to or after receiving orthodontic treatment. Before receiving braces, for example, some patients may need gum recontouring to remove excess tissue where spaces exist and need to be closed. Following orthodontic treatment, laser gum therapy can further enhance the patient’s new smile, and it may also prove useful to remove any residual inflammation in the gums. For patients desiring a more balanced smile appearance, Dr. Lauer can recontour the gum line in an aesthetic smile lift to make the teeth look longer. 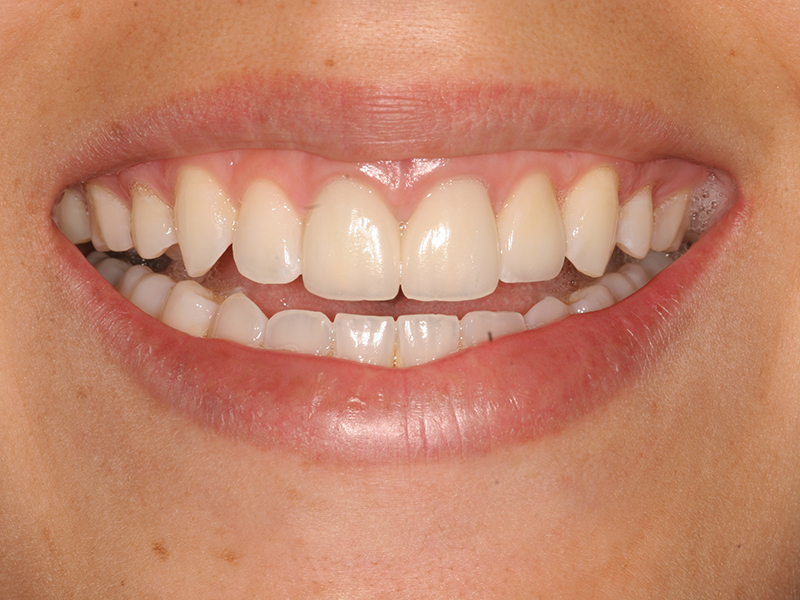 This cosmetic procedure is intended to reduce a gummy smile and ultimately improve the symmetry of the smile. Through this method of crown lengthening, Dr. Lauer is able to “frame the picture” to help patients achieve their dream smile. What Can I Expect During the Crown Lengthening Procedure? To determine the specifics of your crown lengthening procedure, Dr. Lauer will review your medical history and x-rays, as well as perform an exam to determine how much gum tissue and/or bone will need to be removed. Reducing gum tissue alone may be enough to complete the procedure, but some patients may require a small amount of bone removal as well. Before the procedure begins, you will receive a dental cleaning, after which a numbing agent may be provided to increase your comfort throughout the process. The Waterlase MD™ is a very precise laser capable of removing small amounts of excess tissue with extraordinary accuracy. Dr. Lauer will carefully guide the laser device across the gums to recontour the tissue and expose more of the tooth according to the unique needs of the patient. For those receiving a crown or other restoration, crown lengthening can provide a more solid base of support and produce a more accurate fit for the restoration. 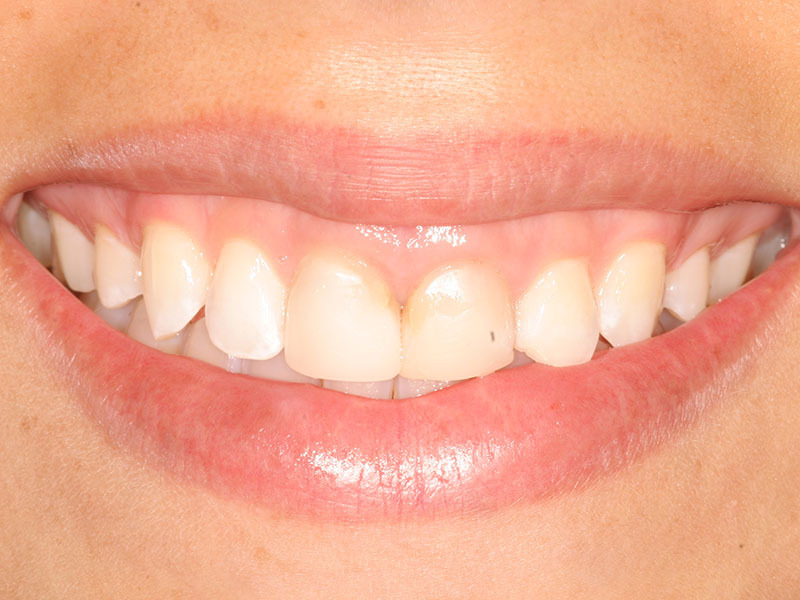 The procedure can also create an enhanced symmetry and balance between the gums and the teeth. Even if only one tooth needs to be treated, the adjacent teeth may be slightly altered as well to create a more gradual, natural-looking shape to the gum line. The entire procedure can typically be completed within one hour, though this will vary based on the number of teeth being treated and whether a small amount of bone will also need to be removed. What Is the Recovery Like After Crown Lengthening? Since Dr. Lauer uses laser technology to perform crown lengthening, no incisions are needed, and patients typically experience faster healing with less swelling and bleeding. As a result, there is minimal discomfort and little to no downtime after the procedure. The cost of crown lengthening will vary from patient to patient since every case is slightly different. Multiple factors may affect the total amount you can expect to pay. This includes the number of teeth being treated, and if bone will also need to be removed. Aside from the recontouring process, additional fees may be involved, as well. This will typically include the dental cleaning prior to the procedure, and if a restoration is being placed, this will also increase your total cost. If crown lengthening is considered medically necessary to receive treatment for a damaged tooth, insurance may cover part of the associated costs. For those interested in dividing their total cost into smaller, more manageable monthly payments, our practice works with dental financing companies to help make your crown lengthening more affordable. To receive a personal quote of how much your crown lengthening procedure may cost, please contact us to schedule an appointment with Dr. Lauer. After evaluating your oral needs, he can discuss what your treatment may entail and what fees may be involved in your crown lengthening process. Why Choose Dr. Lauer for Your Crown Lengthening? Dr. Lauer is a board-certified periodontic specialist who has performed crown lengthening procedures throughout the span of his career. It’s very important to consider undergoing this type of treatment from a skilled periodontist rather than a general dentist, since periodontists are singularly focused on gum renewal and restoration procedures. With his extensive training and expertise, Dr. Lauer can help you attain a virtually pain-free procedure and successful results. To see examples of how crown lengthening can enhance your smile, visit our gum treatment before and after photos page to see images of Dr. Lauer’s patients. If you would like more information on crown lengthening treatment, or if you would like to schedule a consultation with Dr. Lauer, please contact Precision Periodontics & Implant Dentistry.